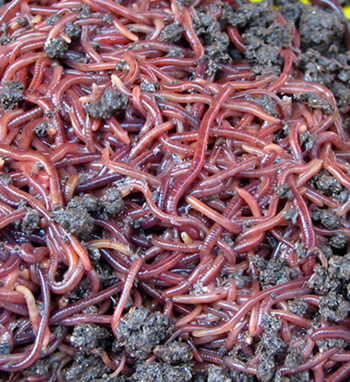 Our organic compost cannot be more natural, just worms producing Nature's recycled compost. Totally naturally, totally organically. They don’t actually know they are making it, just doing what comes naturally. 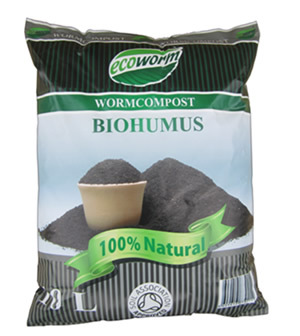 Recycling Nature’s waste stuff by turning it into super compost – biohumus. but this so natural vermicompost stuff (why does it have so many names this biohumus) simply does so many good things to your soil, and so naturally. It contains not just many but all of the macro and micro nutrients your soil needs. Enzymes, soil antibiotics, vitamins, growth hormones like Indole-3-acetic acid (IAA), kinetin, gibberellin and soil conditioners such as humates and fulvates. Phew, that’s enough science stuff ! It simply means that all of this is natural, organic goodness that will be easily absorbed into whatever plants you want to treat. Your plants will grow faster and healthier, and your crops should be tastier, containing lots more vitamins, proteins and sugars. Using this organic wormcast reduces or prevents nitrates and heavy metals building up in your soil – so let’s reclaim some much of the waste ground us people have ruined in the past ! To germinate your seeds, just mix 1 part biohumus to 3-4 parts soil. When you are ready to transplant your veggies or plants, mix 1 part biohumus to 3-5 parts soil. If your tranplanting potted flowers then I suggest mixing 1 part biohumus to 5-7 parts soil. You can use your vermicompost to give your indoor plants a bit of oomph too, just spread 20 or 30 ml around the plants every couple of months. If you general want to improve your soil, or perhaps want to get raised beds or borders ready, just spread about 250 ml of the wormcast over each square metre. Nitrogen (N) 11422, Phosphorus (P) 8258, Potassium (K) 7173. Fe, Ca, Mn, Mg, Mo, Co, Na, Se, Va, Zn, Cu, B, S, I. Growth enzymes are Auxin, Gibberellin and Cytokinin. The humus substances are Humic and Fulvic acid. It’s pH ranges between 6.5 – 8 and the moisture content is normally 45 – 55%. So what’s not to like ? 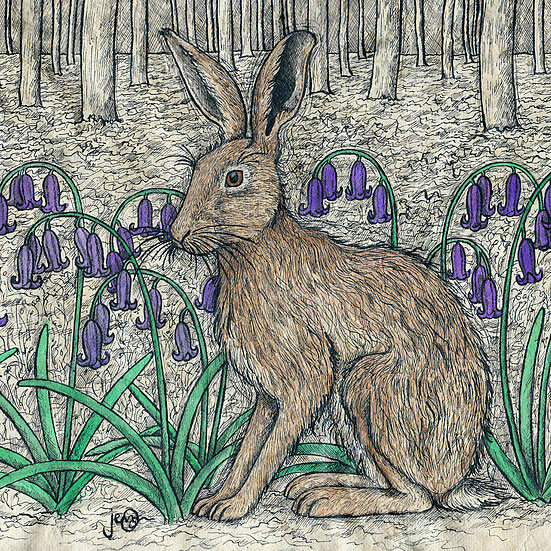 Oh, I forgot, the Soil Association approve of it too. If you would like to add all of the benefits of organic compost to you existing plants, why not water in Organic Compost Liquid Extract - which is a long title for what I think is the most natural and effective organic liquid fertilizer around ! If you really have a Major Transformation in mind.